We used yesterday's Favour tape as a chance to catch up on another release we missed a couple of years ago, the fourth Open Channels cassette. The quartet continue to mine indie pop through synths, with a few more guitars than their prior releases. It's interesting to listen to this after Favour - Jeff King's songwriting still has very much the same feeling, one which itches just the right spot for us here at the CCPS. 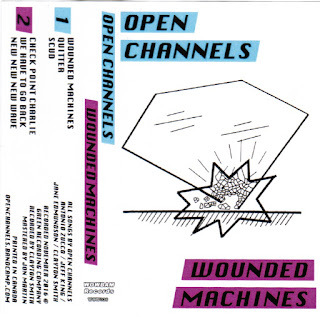 Get wounded the Open Channels bandcamp.